Video Camera line inspection is a valuable service for those in pump truck services and the plumbing industry. The CCTV video camera is a flexible rod that has a high-resolution camera at the end of it where the images are transmitted to a camera operator and recorded for viewing at a later time. This tool allows technicians to see inside sewer lines and pipes, allowing technicians to be able to easily locate damage, cracks and other problems. Instead of digging up the sewer lines, the video camera allows the property owner to save money and mitigate future emergency maintenance by discovering the problem ahead of time. Any foreign objects causing a blockage in your lines and pipes are also identifiable with the video camera. If you are dealing with problems in your sewer lines and pipes, EdenFlo’s video camera inspection service is a cost-effective method that will save you money. A plumbing system with a problem will tend to lead to other problems. Regular preventive maintenance is the key to reducing overall maintenance costs, and preventing disaster in the form of sewer back up and flooding. Wherever your Lower mainland video inspection service needs are in Vancouver, Abbotsford, Aldergrove, Surrey, Langley, Burnaby, New Westminster, Delta or White Rock, EdenFlo provides the best video CCTV inspection service on time and on budget. Call us today at 604 575 1414 or contact us for a complimentary review of your requirements. This entry was posted in Video Line Inspection and tagged aldergrove video line inspection services, bc video line inspection, burnaby video line inspection services, CCTV video camera equipment, cost effective video line inspection service, delta video line inspection services, edenflo pump truck services, langley video line inspection services, locate pipe blockage vancouver, New Westminster video line inspection service, north vancouver video line inspection services, pipe blockage lower mainland, Sewer line blockage, surrey video line inspection services, vancouver video line inspection service, white rock video line inspection on March 5, 2019 by Edenflo. Using high speed / high pressure water to clear blockages in pipe systems is a better approach to cleaning and clearing blocked lines. Unlike conventional auger or snake type cleaners which tend to punch a hole in the existing blockage, hydro jetting/hydro flushing completely removes the blockage by scouring the inside of the pipe. Barring the possibility of a collapsed line, hydro-jetting will solve the problem. Using our video line inspection systems we are able to inspect and assess where the problem may be. 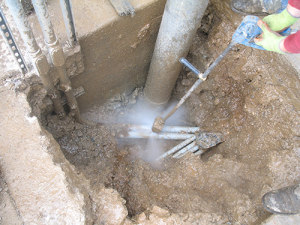 The hydro-jetting process will clear the most stubborn line blockages and efficiently scour the entire pipe. This process should be a regular maintenance consideration for businesses such as parkaides, parking garages, restaurants, food processing operations and Property Managers for commercial and residential properties in Vancouver, Aldergrove, Surrey, Langley, Buranby, New Westminster, Delta or White Rock. This entry was posted in Hydro Excavation and Flushing and tagged aldergrove video line inspection services, best hydro-flushing service lower mainland, burnaby video line inspection services, clear blockage in pipe vancouver, delta video line inspection, Hydro flushing, hydro flushing aldergrove, hydro flushing burnaby, hydro flushing services BC, hydro flushing services white rock, hydro flushing surrey, hydro flushing vancouver, hydro jetting vancouver, hydro-jetting lower mainland, langley video line inspection services, new westminister video line inspection services, pipe blocked lower mainland, pipe blocked vancouver, white rock video line inspection on February 16, 2018 by Edenflo. As part of our series on preventive maintenance for your plumbing, let’s take a look at Video Line Inspection. In Video Line Inspection, an Edenflo service technician will use specialized CCTV video camera equipment to inspect your residential or commercial waste pipes up close and personal – from the inside, where it’s easy to spot the problems and take action before they cause an expensive problem. Video line inspection can help us find all manner of plumbing problems. Most often, it will alert us to a developing clog situation, and we can use hydro flushing (located on the same truck as the camera equipment) to get rid of the buildup before it impedes the system’s function. We occasionally find more serious problems that require more serious repair work. Because of Video Line Inspection’s ability to pinpoint the exact location of a problem, you’ll save money because it will reduce the amount of costly excavation needed to affect a repair. Edenflo’s technicians are armed with the technology and know-how to solve your problems and save you money. For more information about Video Line Inspection, Hydro Flushing, and other services offered by Edenflo, call us at 604-575-1414 or fill out our online request for service. This entry was posted in Video Line Inspection and tagged aldergrove video line inspection services, burnaby video line inspection services, CCTV pipe inspection unit, CCTV video camera equipment, Hydro Flushing BC, langley video line inspection services, sewer camera, vancouver video line inspection services on January 11, 2016 by Edenflo. 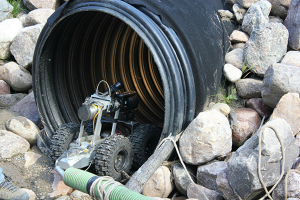 Performing a pipe inspection using a video camera is the simplest way to produce a visual inspection in real-time of interior water lines and underground sewer pipes. Using a flexible cable that is fabricated out of fiber optics, with an attached high resolution camera positioned at the end of the cable, allows the technician to have a complete view of the inside of the pipe. This helps to evaluate the condition of the pipe, and locate any obstructions. Once the blockage has been verified, it can be removed by a variety of options, to ensure its proper function. 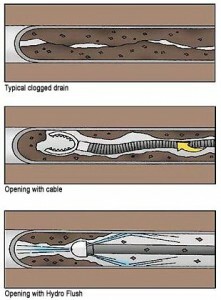 There are many reasons why a consumer would use a sewer video inspection to determine the condition of a pipe. 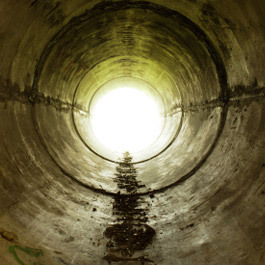 This might be an evaluation of the sewer system, before purchasing a home. It might also be used as a way to identify the layout of an existing underground sewer system before making any changes to the plumbing system by adding on an additional bathroom. It can also be used to quickly locate and identify any type of issue with the sewer system to determine the best possible way to perform the repairs properly and economically. By utilizing a video line inspection, the structure owner can save on future repairs. The inspection can quickly locate any break, or collapse in the drain line, or visually identify any problem, including corrosion, a belly pipe, leaking joints, offset pipes, or a blockage. It offers the viable information to properly diagnose any plumbing issue or to confirm the pipe’s condition. A visual video line inspection works in any application including industrial, commercial and residential structures. It offers one of the easiest solutions for maintaining sewage pipes in British Columbia. It provides a real-time solution, where the technician can view on the monitor exactly where and what the problem in the drain line is. This entry was posted in Video Line Inspection and tagged burnaby video line inspection services, delta video line inspection, delta video line inspection services, langley video line inspection services, new westminister video line inspection services, richmond video line inspection services, sewer inspection Surrey, sewer inspection vancouver, vancouver video line inspection services, video line inspection North Van, video line inspection Surrey, white rock video line inspection on July 28, 2013 by Edenflo.